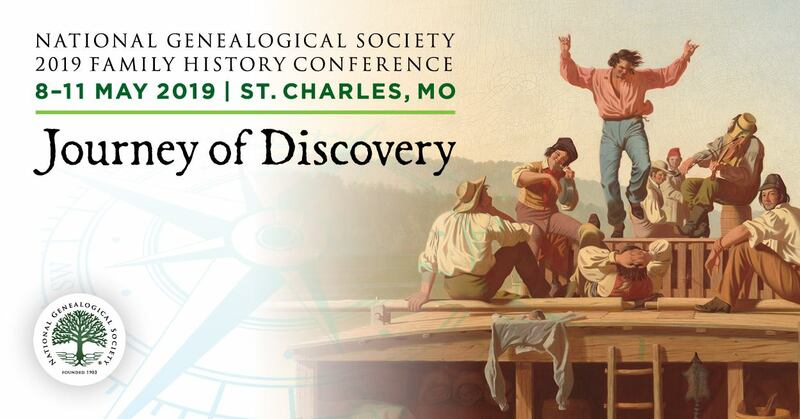 The National Genealogical Society is excited to announce the release of its two newest Continuing Genealogical Studies courses, African American Roots: A Historical Perspective and Federal Land Records. developed the course for NGS. Federal Land Records is a self-paced, online course that introduces you to the different types of land entries including cash entries, donation land, homesteads, and military bounty land, and discusses how land ownership was transferred from the federal government to an individual or group. More than three million people received patents from the government in the thirty public land states. The land application files may contain valuable information for genealogists including details on family members, neighbors, citizenship status, and land improvements. This course teaches you how to access these federal land records. These courses are just two of a number of online NGS courses that offer the convenience of completing a genealogy course over a period of months at any location and at any time. They are available for $45.00 for members and $70.00 for nonmembers. For further information or to purchase the course, visit NGS Continuing Genealogical Studies or the NGS Store. Good News! The National Genealogical Society will release three Research in States guide books at its 2018 Family History Conference in Grand Rapids, Michigan, 2-5 May 2018. Two are new releases —Research in Massachusetts and Research in Rhode Island—as well as a revised and updated edition of Research in Michigan. These excellent guide books will help you dig into some excellent new sources for your family research in these three states. Sales begin in the NGS online store and at the NGS booth on Wednesday, 2 May. 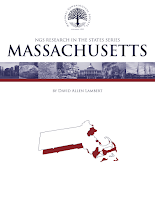 Research in Massachusetts by David Allen Lambert provides a solid framework and useful tool for researchers looking for subject matter linked to Algonquian Indian tribes, a Mayflower ancestor, and first settler documentation. Also covered are resources for family historians who are researching ancestors from Africa, England, Ireland, Scotland, and Wales who continued to arrive throughout the eighteenth century as well as later emigrants from Canada, eastern Europe, Italy, and Portugal. Other resources such as qualifying military service are also discussed in this guidebook. David Allen Lambert is the chief genealogist of the New England Historic Genealogical Society. The author of A Guide to Massachusetts Cemeteries, he has published numerous articles and is the tribal historian for the Massachuset-Punkapoag Indians. 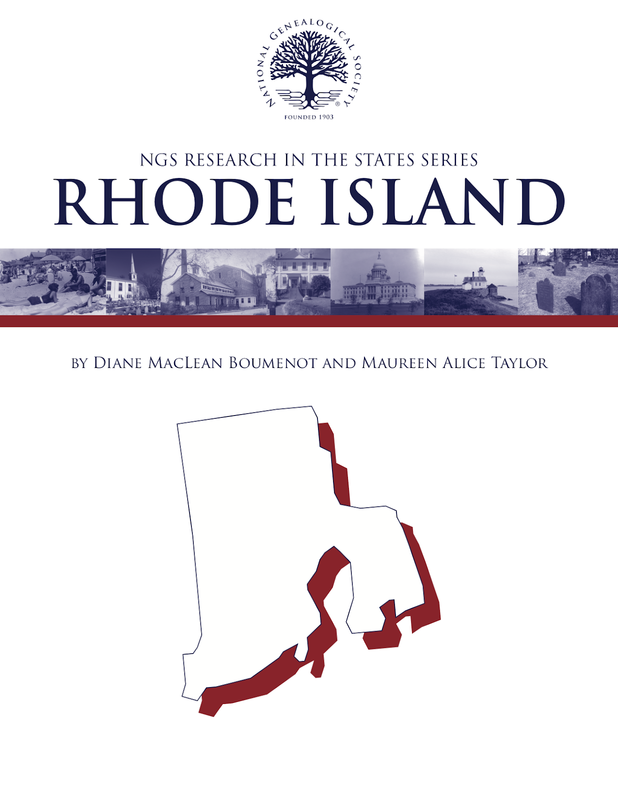 In Research in Rhode Island, authors Maureen Taylor and Diane MacLean Boumenot share their intimate knowledge of Rhode Island genealogical records and historical context. Family historians learn about the state’s unique record sets, seaman’s protection certificates, divorce records, and a wide variety of town records, where most governmental operations took place. 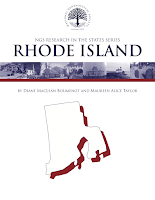 The book provides tips for navigating important repositories including the Rhode Island Historical Society, the State Archives, and the Judicial Records Center as well as researching online or remotely. Records for Native Americans, early English settlements, and additional immigrant groups are all covered, with guidance on census, church, town, court, immigration, military, newspaper, and vital records. Authors Diane MacLean Boumenot and Maureen Alice Taylor are members of the Rhode Island Genealogical Society. Boumenot has worked to demystify Rhode Island genealogical research on her website One Rhode Island Family. 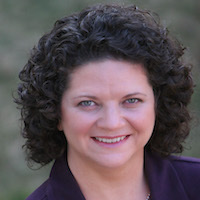 Taylor is the author of three books on Rhode Island as well as The Last Muster (2 vols) and The Family Photo Detective. 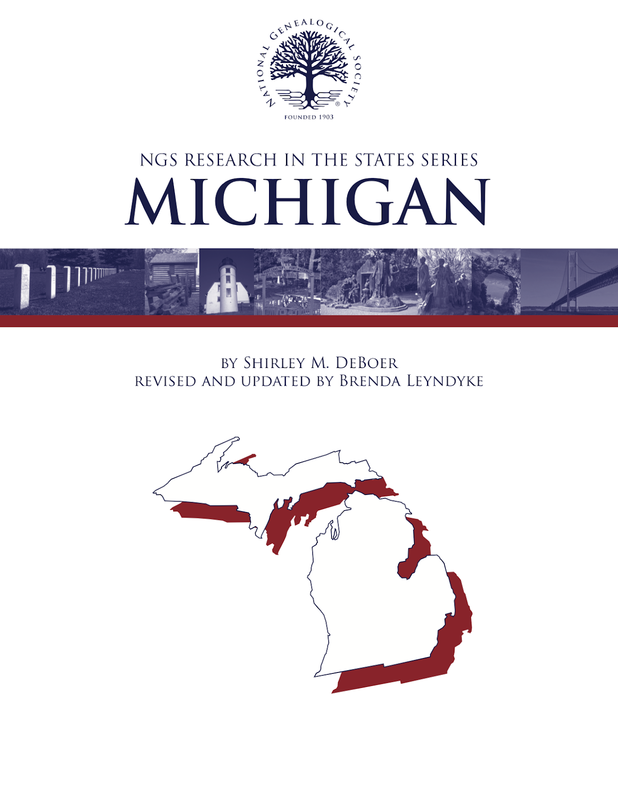 Research in Michigan by Brenda Leyndyke provides an overview of Michigan’s history and settlement patterns from its first French settlement in 1668 into the twentieth century. This comprehensive guidebook includes information on major research centers as well as locally-focused institutions. Family historians learn about the court system and how to access the numerous published decisions. An extensive section on ethnicities features information on fourteen groups with ties to Canada and Europe as well as resources on African Americans, Arab Americans, Asians, Chaldeans, Hispanics, Native Americans, et al. Other sections cover maritime and township research, documents on orphans, prisons and schools, and Works Progress Administration (WPA) publications. 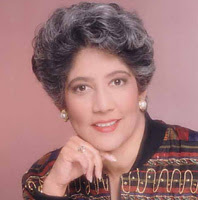 Brenda Leyndyke is the president of the Calhoun County (MI) Genealogical Society, a board member of the Michigan Genealogical Council, and the author of an award-winning genealogy blog. The NGS Research in the States series is edited by Barbara Vines Little, CG®, FNGS, FVGS. 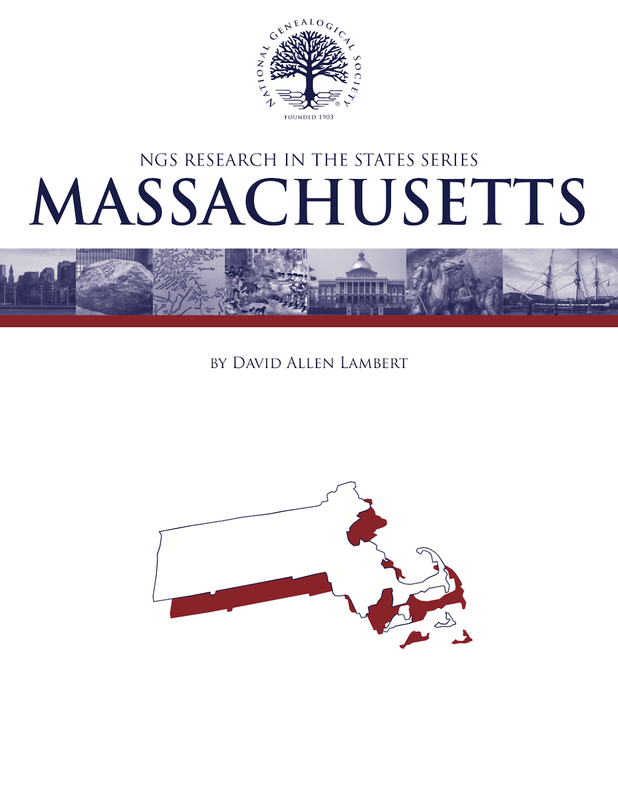 Research in Massachusetts, Research in Michigan, and Research in Rhode Island will be available for purchase in the NGS online store in both PDF and print versions on 2 May 2018.